People in Hoover, Alabama, may face a number of challenges after an accident that results in a personal injury. 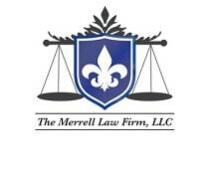 At the Merrell Law Firm, LLC, they understand what clients are going through, and they provide dedicated legal counsel and guidance to people in Hoover and the Birmingham area, as well as throughout Jefferson and Shelby counties. As a general law practice, they are experienced in most areas of law, including employment, family and divorce, juvenile, insurance and criminal law. The attorneys and staff also provide estate planning and will drafting assistance. The law firm team also handles business law issues including business formation, construction matters and contract disputes. They know that these issues may slow down operations and affect production, which is why they diligently work to help their clients protect their businesses. It is their goal to assist their clients in avoiding legal issues altogether or resolving them efficiently and effectively. When people are injured due to the negligence of others, they may face unexpected medical expenses and lost income while they are recovering. The law firm aggressively seeks to protect the rights of their clients. They assist in putting together a strong case, including medical records and accident reports, to prove liability for their clients’ injuries. During a free initial consultation, the attorneys at The Merrell Law Firm, LLC, will gain an understanding of the client’s situation and discuss the available options with them. In addition to assisting clients with personal injury and business-related matters, they also provide mediation assistance in cases where trained mediators are needed to reach agreement without going to trial.